Working hard on the East Coast for Makaretu Farms Earthmoving, Freightliner Coronado with Mills-Tui 4.9m steel tipping body. 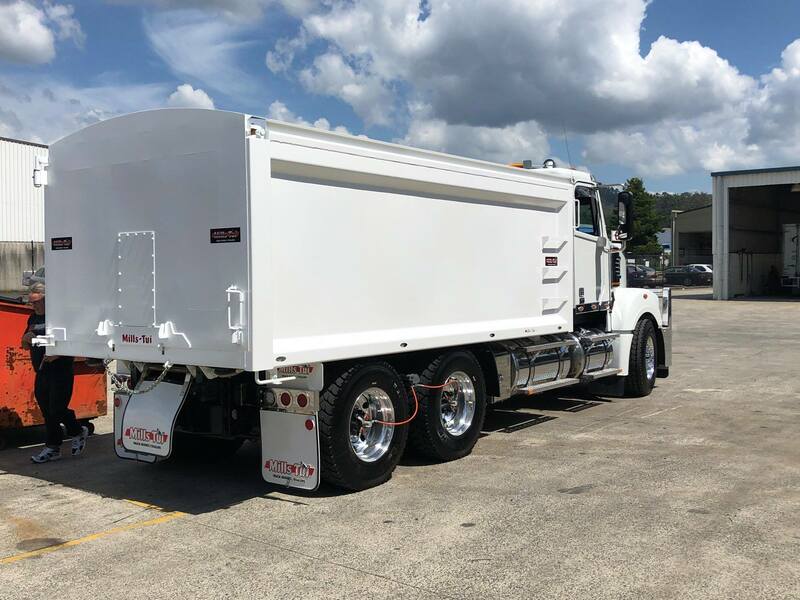 Manufactured from Abrex 450 steel this multi-purpose tipper has 1,415mm high sides, two-way tail door, provision for grain door and roll over tarps, BFOB, 50mm Rockinger trailer gear, Peterson LED lights fitted to stainless steel spring loaded brackets. Finished off in white. Steve added the alloy bull bar which looks pretty cool.